Can you Really Keep Sugar Cravings at Bay? It may seem impossible to keep your sugar cravings under control, but it turns out there are methods to control that sweet tooth. You’ll often see sugar cravings in women over men, in those with a health issue that’s increasing the cravings, or those that don’t have enough sleep or energy. It’s also so easy to access with our grocery store shelves being stocked with easy-to-grab sweet treats that are much quicker than preparing a healthy snack. If you want to keep the sugar cravings at bay, take a look at the “why” behind cravings and methods to control this going forward. Who craves sugar the most? It’s believed that it’s more common for women to crave sweets more so than men but it’s actually been studied and found that this does happen because women experience the hormone estradiol. While you can’t avoid nature and the fact that women are likely to have sugar cravings during their period or menopause from this hormone related to reproductive function, understanding this ahead of time will help you to better prepare for these cravings. In addition to women experiencing that time of the month or the time around menopause, you’ll also find sugar cravings in unhealthy people that are experiencing underactive thyroid issues, adrenal fatigue, yeast infections, and having the gut bacteria imbalanced. If you’ve been sluggish or stressed, you’ll similarly be more likely to want more sweets. The good news is that a healthy diet can combat most of these issues and get your body functioning normal again. There are a few tried and true methods for controlling your sugar cravings. The first is to avoid processed foods all together in order to get the sugar out of your life and start teaching your body to stop craving them. When you do eat processed foods, your brain learns that you are getting a food reward and it’s going to want more. When you give it sugar, it’s going to crave more just like it would with a drug or alcohol addiction. Since processed foods are full of sugar, it’s best to cut them out complete while you retrain your body. Another method is to increase your fermented foods and probiotics in your diet. When you add more probiotics and fermented foods, you’ll be able to reduce the sugar cravings. 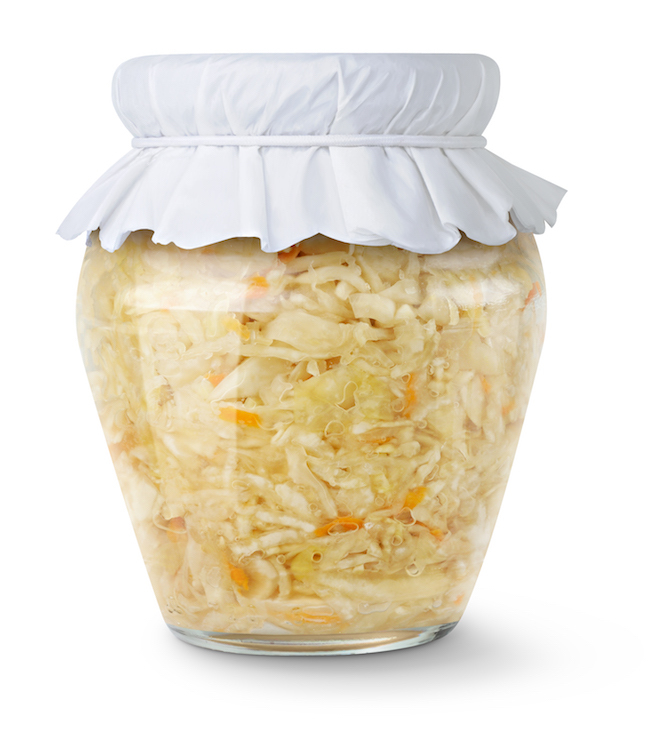 Foods like pickles, miso soup, sauerkraut, live cultured yogurt, and Kefir are great sources of these fermented foods that will help to restore your body’s healthy gut bacteria. Having bad gut bacteria will influence your cravings with the nerves between your brain and stomach. Choose fermented foods, liquids, or probiotics in your diet or through supplements to control the sugar cravings. Lastly, try a visualization exercise in which you pretend that the thing you are craving has had salt poured all over it. Since people tend to dislike overly salted items, pretending that slice of pie has had salt poured all over it will turn off your cravings. This trick is called the salty sweet visualization exercise. When you feel like your sugar cravings are out of control, using these methods to regain control is essential. Keeping your blood sugar stable, your gut bacteria balanced, and your diet in check will be the biggest tools at your disposal for keeping sugar cravings at bay. 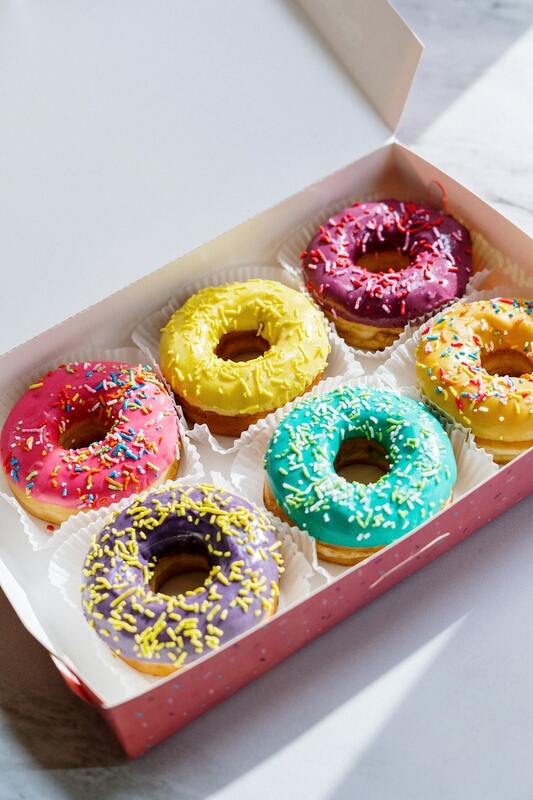 Make sure you are getting enough sleep, exercising, and avoiding processed foods in order to avoid sugar cravings from sluggishness or because your brain is craving more reward-foods. The condition of focus in this case study is vertigo, which has been most simply described as the feeling that the room or one’s surroundings are spinning. The symptoms of vertigo range from bearable short term dizziness to intense dizziness causing nausea and a failure to stand or walk. This condition arises from diseases that cause demyelination, tumors located on the brain stem and cerebellum, hemorrhage in the brain stem as well as vascular diseases of the brainstem. The individual in the case study was a 12 year old boy who had been dealing with repeated episodes of vertigo, headaches and neck pain. His vertigo first begun when he was 3 years old and since that point in time, his vertigo has continued to grow in intensity. The patient would experience clusters which are 5-20 seconds of severe dizziness, recurring every 15-30 minutes with this cycle lasting for several hours. He was unable to attend school due to the severity of his vertigo. The patient was received 3 adjustments each week for the first month. After the first month, the schedule was set to shift to 2 visits each week for the next 7 weeks and continue to decrease the frequency of visits as he progressed. The patient reported no headaches or neck pain after just the first week of receiving chiropractic care. 4 weeks after care began, the patient did not experience vertigo. This was the first time he had not experienced vertigo in 9 years! The patient continued chiropractic care for 2 years and during that time frame he only experienced 2 acute episodes of vertigo. This was remarkable progress for the child because he was now able to attend school consistently as a result of now being free from headaches, neck pain and vertigo episodes. The patient was also able to engage in sports, training and games once again. This case study along with various other similar incidents supports the use of chiropractic care in order to help individuals who deal with vertigo and headaches. Kelly,D., & Holt, K. (2010). Resolution of Vertigo, Migraines and Neck Pain in a 12 Year Old Boy Receiving Chiropractic Care - A Case Study. Journal Of Pediatric, Maternal & Family Health, pp. 150-153. The prevalence of Cystic Fibrosis (CF) is 1 in every 3500 infants. This disorder results in a decreased life span, persistent infections and overwhelming medical costs. The lungs become targeted as large amounts of mucus forms and can block airways causing acute inflammation and chronic respiratory infections. Current treatment for CF involves a variety of approaches to be effective. The patient in this case study was a young male with CF who sought the goal of improving his quality of life. This was mainly due to the repeated infections, inability to participate in sports and lack of sleep he experienced which stemmed from his CF. The 8 year old boy was diagnosed with CF immediately after birth and frequently found himself hospitalized multiple times each year because of the infections. Lack of range of motion of cervical, thoracic and lumbar regions were identified upon the initial visit with the chiropractor. Surface EMG displayed hypertonic musculature at the regions of the mid-cervical, mid-thoracic as well as the upper lumbar. The patient was scheduled to receive adjustments three times each week to correct these issues. The first reassessment was done after the 9th visit and the patient noted that his breathing function, as well as the duration and quality of sleep all improved. As the young boy continued chiropractic care considerable positive impacts were seen in his lifestyle a year and a half later. The thermal scan displayed dramatic decreases in the muscle imbalances of the cervical and upper thoracic regions. The patient found himself participating in physical activity more frequently as he was on the verge of attaining a black belt in karate. To add, he had not visited the hospital for 8 months, absences from school had decreased as well as experienced growth in height and weight. Various adjustments were used to target specific areas and improve the function of the immune system. This case study displays the power of chiropractic care in improving the quality of life for individuals with CF. Warhurst,C., Warhurst, R., Gabai, A. (2010). Improvement in Cystic Fibrosis in a Child Undergoing Subluxation-Based Chiropractic Care: A Case Study. Journal Of Pediatric, Maternal & Family Health, pp. 172-180.